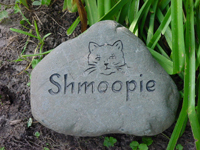 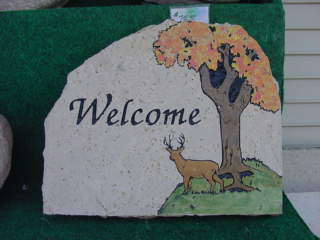 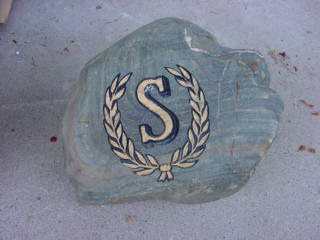 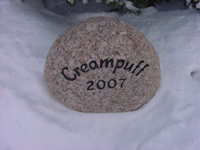 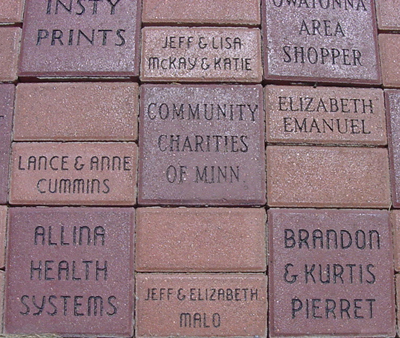 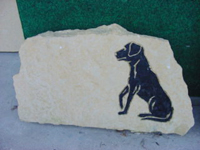 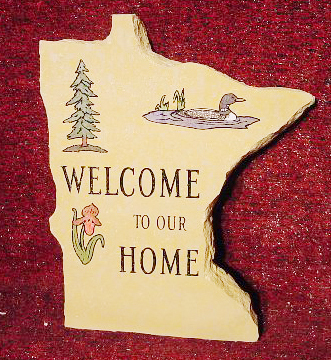 Celebrate the life of your beloved pet by giving them a hand crafted memory stone. 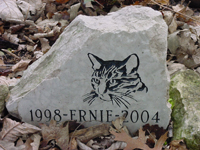 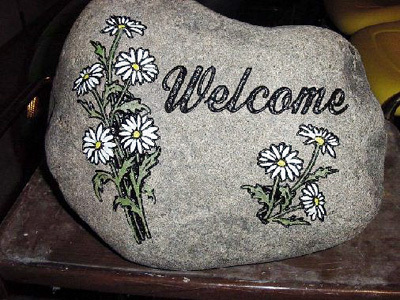 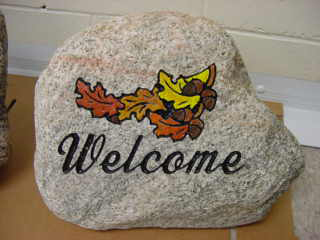 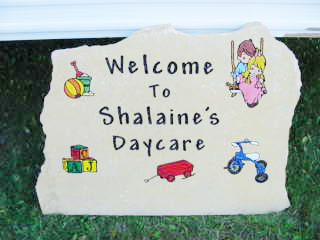 Have your pets stone customized with their name, birth date and death date or create a small verse to describe the joys your pet brought to you. 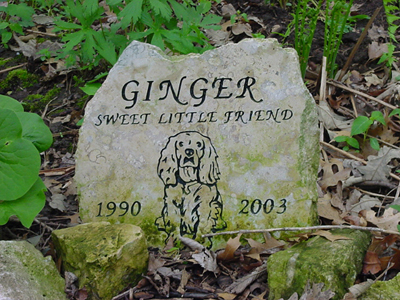 We can create an everlasting memory for your special pet. 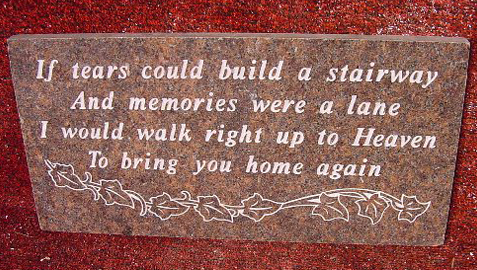 Click on the small pictures to the right and left to view them larger. 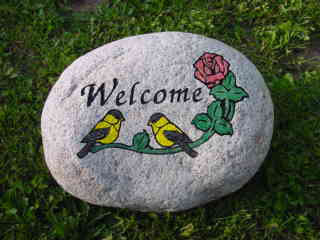 Click on the larger picture to take you to it's descriptive page.